HELP SUPPORT THE INGRAHAM HS WRESTLING TEAM! 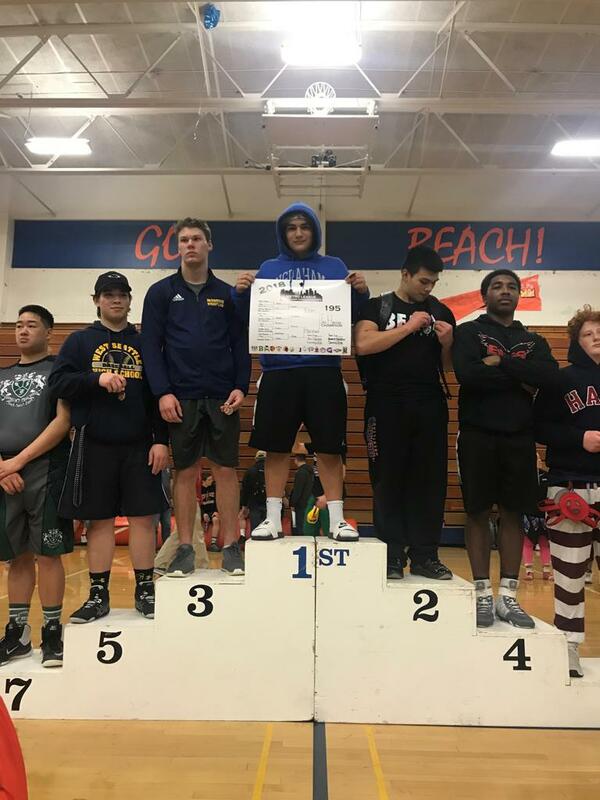 The Ingraham Wrestlers battled through the Regional tournament Feb 10th at Nathan Hale high school. 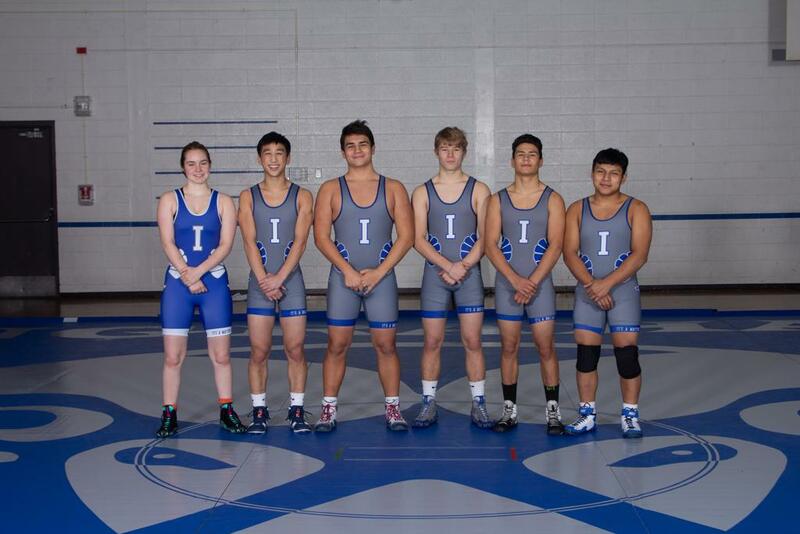 They qualified five wrestlers for the state tournament February 16 & 17 at the Tacoma dome. Congratulations to Tre Harstad, Connor Richardson, Gabriel Liau, Simion Mayo and Adriel Liau on their hard work! Go Rams! Rams success at State Tournament Feb 2019! Ingraham advanced 12 wrestlers on to the state tournament at the Tacoma dome this last week, a school record. Of the twelve, 4 advanced to make the blood round on the second day placing two of our Ram wrestlers in the 32 man bracket. Simion Mayo-Carrillo battled hard to capture an 8th place finish, and Diego Enriquez-Mayer captured a 6th place finish in the Tacoma dome. Placing two wrestlers at the state tournament is another school record! 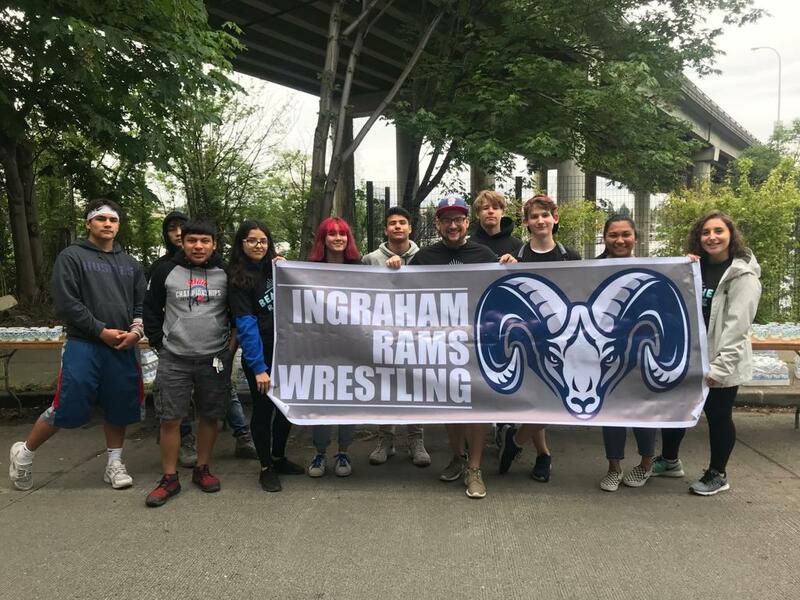 The Ingraham Wrestling team placed 23rd overall at the tournament and met their goal this year of finishing in the top 25 at the Tacoma dome! Adriel Liau is the Washington State Academic State Champion! Congratulations on the incredible season, Ingraham wrestlers! Ingraham High School Wrestling will be hosting Spring/Summer practices in the lower gym through the rest of the school year and summer. The current practice schedule can be found outside of Coach Carter’s Room (rm 121), Coach Dylan’s Room (Rm 120), Coach Elvig’s Office, Ms. Hedeen’s Room rm (100), and the Student Success Center. All athletes who are interested in wrestling are encouraged to attend. Wrestling officially began on Monday, November 11th, 2019. Turn paperwork into Ms. Medina in the main office! Practice will be immediately after school in the girls lower gym.Practice will end around 6:55, after practice we have to put away the mats and shower. We are normally out of the building by 7:15. For the first couple of weeks of the season and during the Thanksgiving and Winter breaks, practice is usually held from 10am-12:30 . Athletes are expected to attend practice during these breaks. First practice date will be November 13th after school. Equipment athletes should bring to tryouts. Wrestlers should wear shorts (without pockets, preferably), two t-shirts, and wrestling shoes. Wrestling is a non-cut sport. All that turn out are on the team. 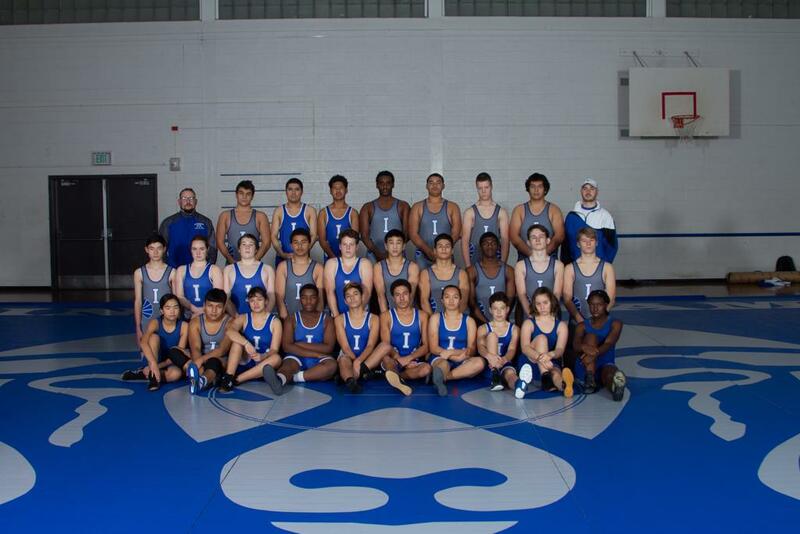 Most wrestling dual meets are at 6 or 6:30pm, so for away meets athletes will leave Ingraham around 3:30 or 4pm. Tournaments are on the weekends. The one exception is for the Metro Championship Tournament in early February--athletes will leave school around noon on that Friday. (Also, athletes who make it to the state tournament will miss 1.5 days of school in late February.) This is arranged through the Athletic Director and teachers are informed. The Ingraham wrestling team has a facebook page that all athletes and their families are welcome to join. It is a closed group, and important scheduling information is placed there. The schedule of meets and end of season tournaments is available on the Metro League site. How will athletes and parents receive communication about last minute changes regarding meets, schedules, transportation, etc.? The majority of communications will be on the facebook page, including weekend tournaments, transportation needs, snacks for the kids, etc. Occasionally the coach will give the athletes flyers to bring home, but we understand that this is an unreliable communication method. What is the time and location of the parents' meeting? The parents' meeting will be held after the all-winter sports meeting at 7pm on Monday, November 21, 2017. What is the expected cost of equipment and/or uniform for each athlete for wrestling? Players must provide their own wrestling shoes. There are many varieties of shoes available on various websites or at Sports Authority and other athletic equipment stores. Prices range from $40-$100. All other equipment is provided. Players may opt to purchase practice gear and headgear as part of team-order. More information will be provided to the wrestlers as these orders are made. 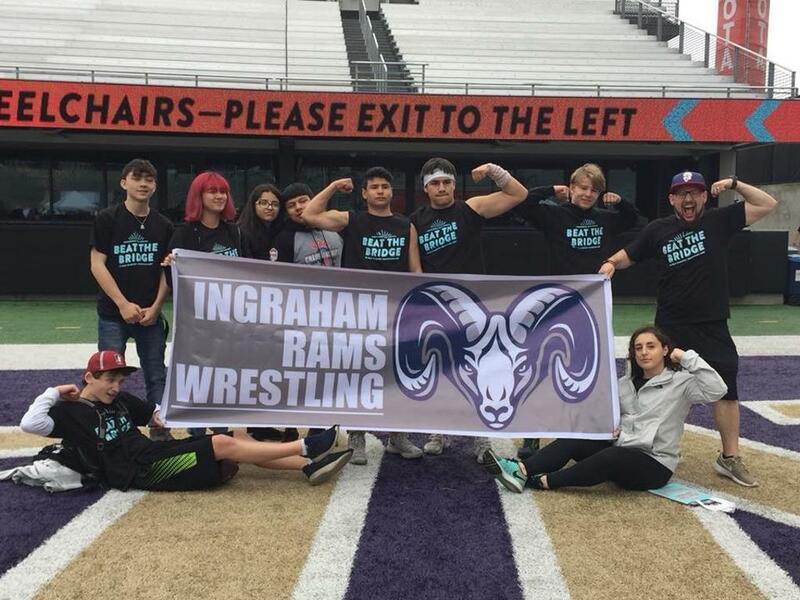 Ingraham Wrestlers finish strongly at state meet! 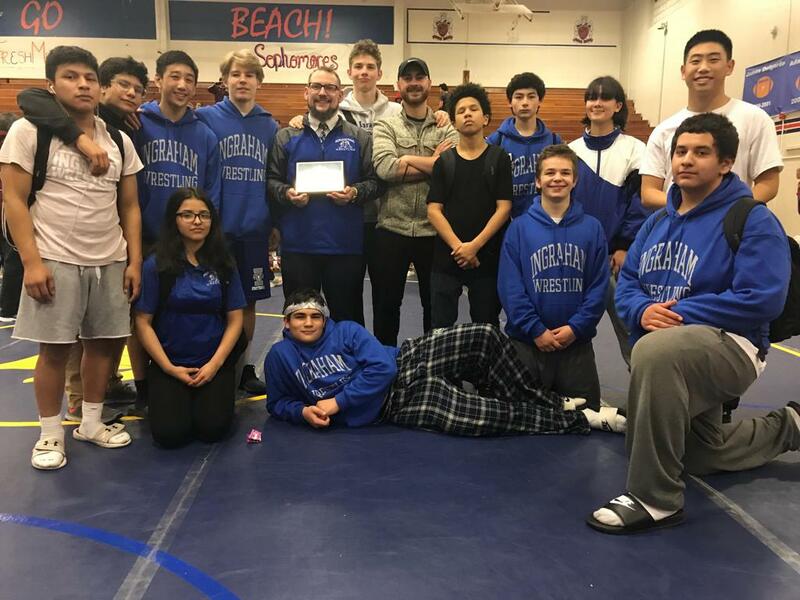 Mat Classic XXI was the first ever 32 Bracketed State Tournament in WIAA Wrestling history, and it was just as historic for the Ingraham Wrestling team! Four Ingraham athletes made it to the 2nd day of the tournament (most for Ingraham ever) and finish in the top 16, and had two State Placers! Diego Enriquez-Mayer took 6th in State and Simion Mayo-Carrillo took 8th! We also had an Academic State Champion in Adriel Liau! As a team we finished in the top 25 taking 23rd overall, the highest finish for Ingraham ever! Back-to-back 13 hr days competing against the state’s very best created history for your wrestling team! Finished the league in 2nd with two Metro Champions, Diego Enriquez and Tre Harstad! We have 12 wrestlers at the State Meet! 11 of our Boys and 1 of our Lady Ram Wrestlers! Coach Thomas Taylor was voted Coach Of the Year for Metro League!